What Breeds of Chickens Lay Blue Eggs? 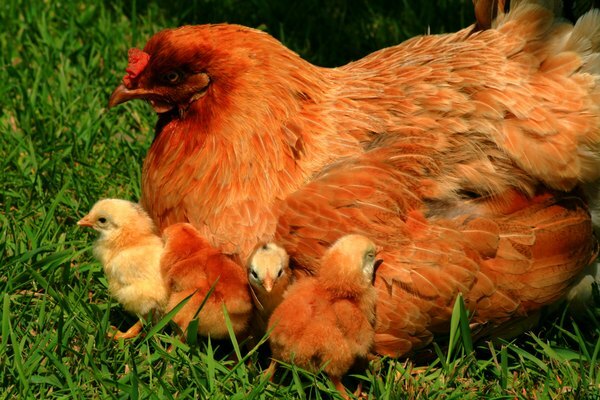 Of the many breeds of chickens in the world, only three lay blue eggs. The Araucana, the Ameraucana and the Easter Egger. 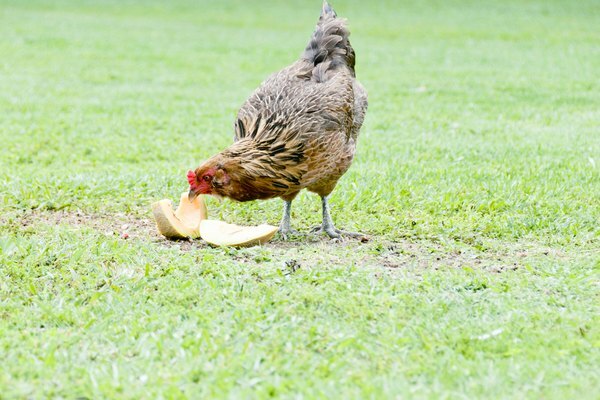 These chickens are usually bred for the purpose of selling the extraordinary and high-priced eggs. The eggs sell for a premium because of their beauty but also because these hens do not produce the volume of eggs that other chickens do. The Araucana is a purebred chicken native to northern Chile, initially bred by the Arauca Indians. This chicken is considered "rumpless," meaning it has no tail, and other features include a feathered beard and extravagant tufts of feathers around the ears and head. 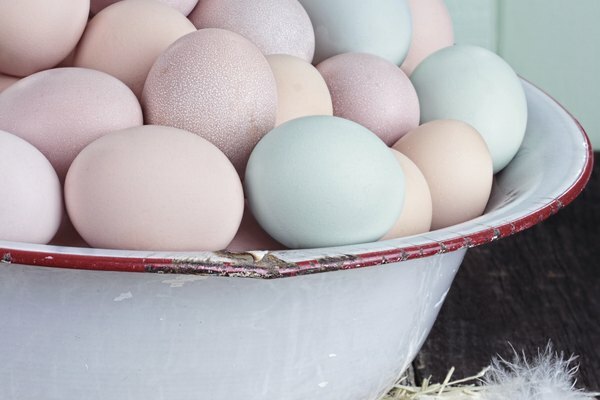 As a result of sloppy breeding, many of these chickens will not only produce blue eggs, but a variety of colors ranging from blue to olive green, or sometimes pink. This chicken was developed in the 1970s by breeders who wanted to use them for meat production as well as their lovely eggs. While it resembles the Araucana in terms of the extensive feathering around the face and ears, it differs in that it does have a tail. There are eight color varieties of this bird, and it also exists in miniature from, known as bantam. Easter Eggers are not considered an actual breed of chicken. Their name comes only from their ability to produce colored eggs, including blue. 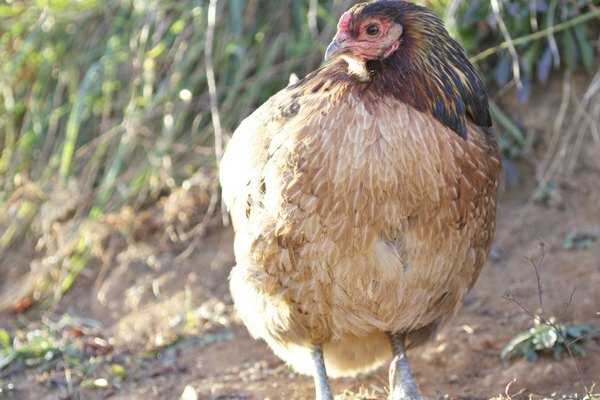 An Easter Egger chicken may come from Araucana or Ameraucana stock but does not meet the standards of either of those breeds. 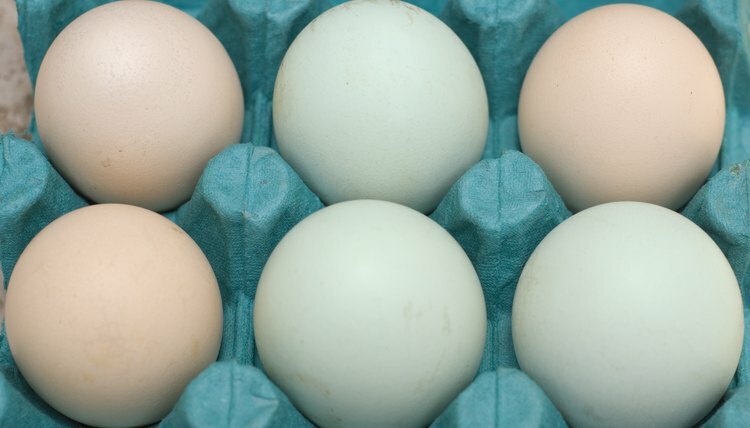 Because the gene that produces blue eggs is dominant, a chicken of any breed that mates with a Araucana or Ameraucana will produce offspring that will lay blue eggs. People debate about the nutritional value of blue eggs produced by the Ameraucana and Araucana breeds. Some speculate on both sides of the cholesterol debate, one side saying the blue eggs have less cholesterol, and the other side saying more. However, any eggs, regardless of their color, have the same level of cholesterol.